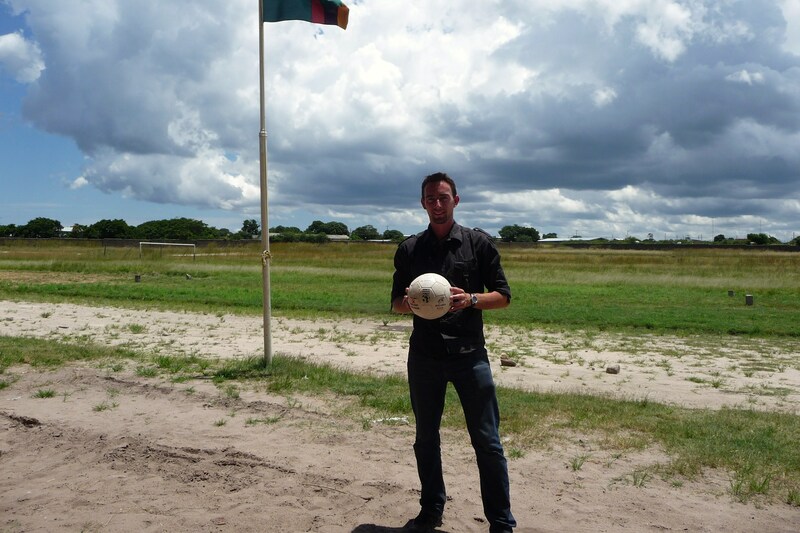 John talks about volunteering in Africa for 6 months; the difficulties and the highlights. Becoming increasingly aware of the issues people face in Africa through the media and wanting to give back when I saw this was the start of my desire to volunteer. During my studies for an accounting qualification with ACCA, I read an article about volunteering in developing countries in the ACCA monthly magazine. The article was about how you could donate your time and skills rather than just donating cash. This interested me as being a student at the time, I did not have much money to donate and I liked the thought of one day giving back by volunteering in another country which would not only allow me to make a direct contribution but also offer me the personal experience to travel and see another country at the same time. Did you have any particular worries before you set off on placement? If so, how did you overcome them? I definitely had a lot of concerns before I left. Worries about what to expect, where I would be staying, would I fit in, would I be able to make a difference, missing my friends and family and a whole host of things! Although I had travelled extensively around the globe prior to going to Africa I had developed the impression that it would be a lot more difficult to travel around Africa. Africa has received a lot of bad press which after living there I can confirm this is totally unwarranted. At least in the places I visited. AfID were very responsive to all my questions and provided a lot of support through putting me in contact with previous volunteers who could give me a first-hand experience perspective on what to expect. I also spoke to some friends who had travelled to Africa and read some of the quality blogs provided by other AfiD volunteers placed in Africa and other parts of the world. You helped both Edusport and DIZA while in Africa. Would you recommend that other volunteers consider helping more than one charity while overseas? Definitely. I ended up helping a third organisation while I was there also, Barefeet Lusaka, but this was outside of my involvement with AfID through another contact I made while I was there. I think the opportunity to work with various organisations gave me a better understanding of the accounting challenges facing some smaller grass roots organisations. Particularly in this case as Edusport and Barefeet Lusaka were in Zambia whereas DIZA was in Rwanda and all organisations were very different. The basic accounting controls that were needed to be instilled in these organisations were very similar though so you don’t need to have any additional skills to volunteer with multiple organisations. This also worked well as I got to return to Edusport after being in Rwanda for a month to see how they were managing without me. This was of great benefit to the staff at Edusport as it is only when you leave someone to work on their own without your support do they fully start to understand what they have learned and the areas they need more assistance. You were away from home for 6 months; was it difficult to spend so much time away from friends and family? I had been living in Australia for over 5 years at the time with most of my family living back in Ireland so I was used to living away from my family but it was still difficult. Being away for a long time like this in a new country/continent presents you with a new perspective. You no longer have your support structure of family, friends, girlfriend and routines around you and you have to develop a whole new life from scratch! This would not have been too much of an issue for a short term placement but a long term placement definitely requires a bit more thought. I was surprised at how welcoming everyone that I met in Lusaka was though. The Zambians that I lived with, especially my housemate Mubanga, went out of their way to make me feel at home and I still keep in contact with Mubanga and other locals I socialised with to this day. I also made friends with some other volunteers in Zambia which really helped me settle into my new home. I joined a running group called the Hash House Harriers which was a lively mix of Zambians and Expats who ran in various places all around the outskirts of Lusaka which was an easy and fun way to get to know a wider circle of people. You mentioned the relaxed way of life in Africa; did it take you long to adapt to local customs and culture? Coming from a large professional services firm (Grant Thornton) where I have learned to be very efficient with my time, it was difficult in the beginning to adapt to work in an environment that did not work at the same pace. I had expected to make more of an impact sooner but I learned that change takes time and every little difference no matter how quickly it is made makes it worthwhile. I had hoped to learn more of the local language also but as everyone in Zambia spoke English and some other various languages depending on which area they came from, and often a mix of several languages this made it more difficult but the locals had fun with me trying! Most Africans follow the English premier league so it was very easy to kick back in a local bar, eating some barbequed goat and enjoy a nice cold local beer while watching some soccer on a Saturday afternoon! All up I think I adapted well to local customs and culture and the people I met were very keen to involve me in their way of life. It is surprising how much I had in common with the people of Zambia and how easy it was to get along with everyone. What was it like being able to see first-hand the projects of the charities you supported? This is definitely when it all comes back to reality. You can often get frustrated while in an office working on a computer over little issues and lose sight of the big picture. When you find yourself in a very poor, underdeveloped area where there is very little opportunity for local people living here and you see the support that an organisation like Edusport, Barefeet, DIZA or other charities that are present, you quickly realise that there is a lot more that needs to be done here and your help to continue the organisations support is of high value. Some highlights include participating in a Go Sisters program in the outskirts of Lusaka where they ran workshops for young disadvantaged women and helped to teach them basic skills and develop some of them into team leaders and coordinators themselves, watching some of the Barefeet Lusaka theatrical performances where kids who had been taken off the streets were now grown up and entertaining large audiences, and visiting the classrooms of kids in a school being built by DIZA for underprivileged children in Rwanda and playing football with them at lunch break. I imagine that running marathons in Rwanda was quite an experience? Especially when it was clocked on my friends GPS watch at just over 27 miles instead of 26.2miles! Running the marathon in Kigali, Rwanda was a fantastic experience, despite all the hills - they don’t call it the land of a thousand hills for nothing! When I look back on my time in Africa some of my fondest memories were running around the streets and countryside of various parts of Zambia, Zanzibar and Rwanda. Local children would either stare at me in amazement or start running with me shouting “Muzungo, Muzungo” laughing and asking me questions as we ran. It also gave me a chance to see more remote parts of Africa off the beaten track as I increased the distances in my training and headed into the countryside through villages and small communities. Hopefully I encouraged some others along my way to take up running and keep fit and healthy. Wow, that is a tough one! There were so many. I think seeing the people in the organisation I was working with learn and develop during my time there was the highlight, especially Nyachi, a woman I worked with at Edusport. There were so many things which she did not think she would be able to do at the start and by the end of my assignment she was very competent and comfortable with what needed to be done. I was very happy to see this. We still keep in touch and I try to give her support with her work and studies in a mentor capacity where I can. It definitely put life into perspective. I don’t think I get as worried or concerned about minor issues like I did in the past. I have a stronger desire to support the less fortunate even more. I feel like I have a greater appreciation for the life I have here in Australia and take less things for granted. it. It must be quite a good feeling to know that your placement had such a positive impact upon Edusport that they haven’t needed another volunteer accountant since your assignment? As I mentioned earlier, this was the highlight of the trip. To know that an Organisation has benefited from my time with them is all I could ask for. Like I mentioned earlier and as I was warned about before I left. In the beginning it can seem like change is happening too slowly or in some cases not at all, but as time goes by, gradually, small things change for the better and once you start to see this then it all becomes worthwhile. One ripple can create many more after it so you got to focus on the big picture. What advice would you give to prospective volunteers? Contact AfiD, explore some potential assignments, talk it through with the people around you, arrange the time off work and go help an organisation in a less fortunate part of the world to develop its financial management and continue to support the community around it. Keep an open mind, be outgoing and open to new experiences and challenges (both personally and professionally), enjoy the experience and have fun, make new friends but most importantly, make a difference.